You have been quite the year, bringing me up and down, then back up again. We started off on good terms, and we are finishing off on even better terms. I'm not sure I remember a year ending better than it started, before now. But I like it. You will always represent endings, beginnings, loss, happiness and growth. Most importantly you represent change. Something I've always feared, until it came and gave me the warmest hug I've felt in years. Your end leads to a new year. A fresh start, as so many people see it. To me, 365 fresh starts. A new dawn every day. A new chance to make each day better than the one before and to embrace what life has in store for me. I'm grateful for having made it through your months, mistakes and all. Each experience has taught me valuable life lessons. 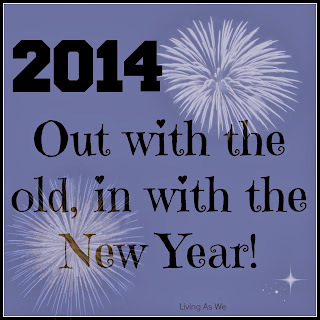 May you find peace, settled in my mind, as I take my first of many steps forward into 2014.